In Case of advertising almost anything goes. 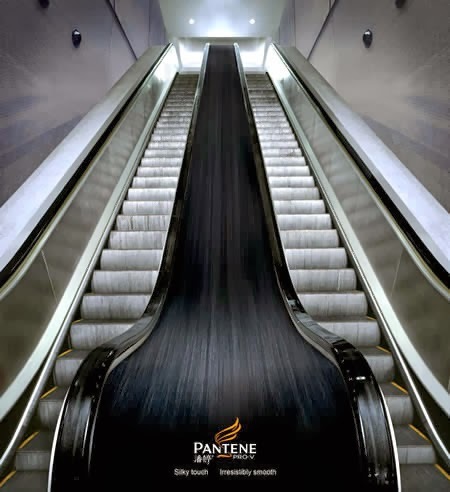 today escalators are amazing advertising place , some may be annoying, while others are fun and creative. 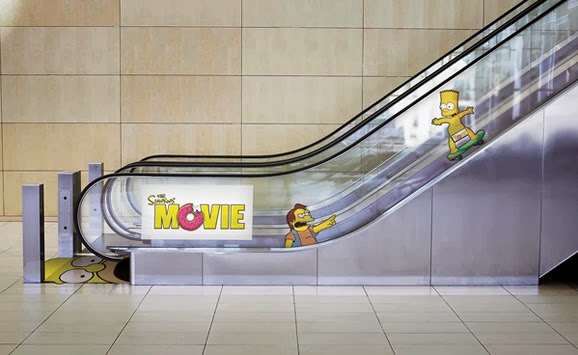 An escalator was used to publicize the film The Simpsons. 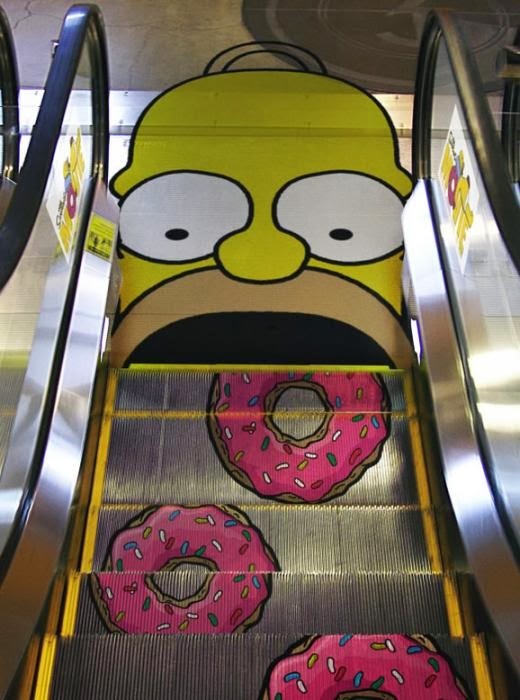 Homer Simpson is seen eating their delicious donuts. from the top of the stairs, this ad looks so real that could make people rush to give aid, which could cause injury, the opposite of the campaign of the Canadian Red Ruz. The decal is intended to promote awareness of first aid with a message: "What to do". Some tourists in Tel Aviv, Israel, have discovered the Star Wars text on the steps of an escalator. 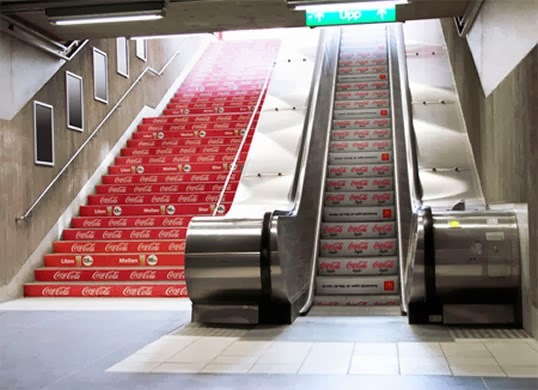 could not miss the ads for Coca-Cola is not so strange. 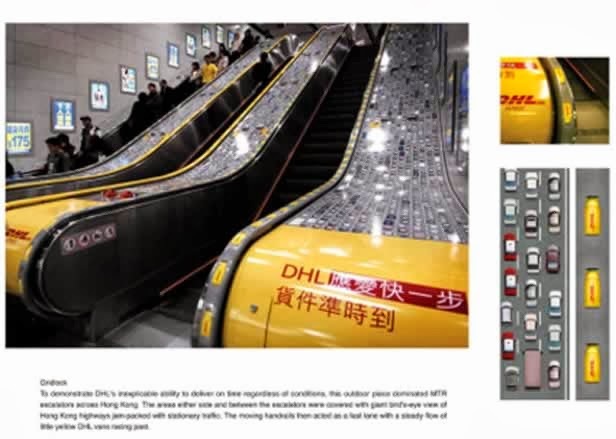 To demonstrate the ability of DHL to deliver on time, regardless of conditions, this piece shown on an escalator in Hong Kong. 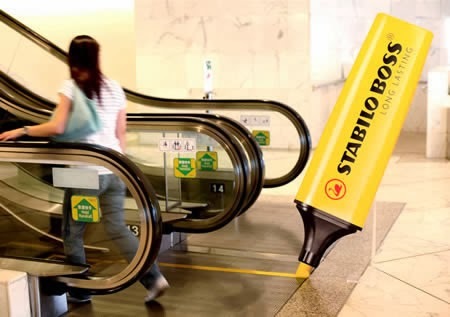 The moving handrail act as a fast track with a constant flow of little yellow DHL vans. Definitely call enough attention. A lounge decided that will not stick posters, is showing his new tactic hairstyles from the escalator. Juice Salon is where the go you can see different hairstyles available. 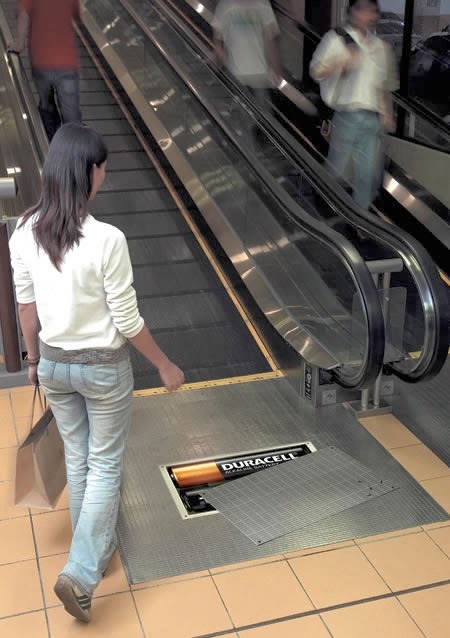 Duracell also use the ladder showing how creativity works, based batteries. While many women go up or down stairs, can think about how your hair looks. For in the staircase looks like Falls waterfall style. Like a marca text would publicize it? Here's the answer! 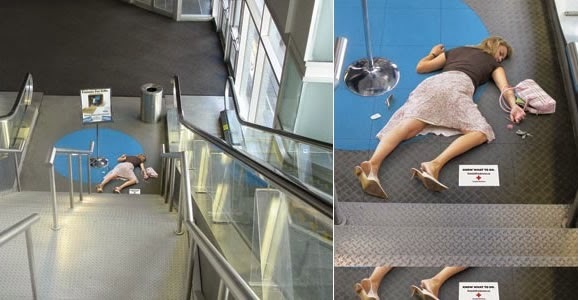 Do you think it's a good idea to publish a roller coaster ride on the escalators? Sure, and I think the effect produced is great!